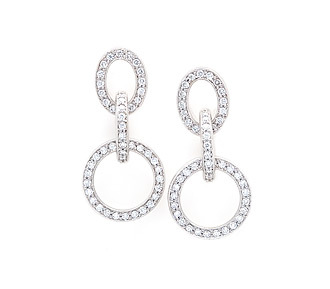 The interlocking diamond circles in these diamond earrings are a chic and trendy look for the “fashonista” bride. The total carat weight is nearly 2 carats and they have a retail value of $7,200, but now you can rent bridal jewelry to fit your budget. 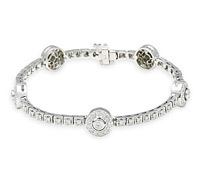 Diamonds: 1.72 TW | Gold: 18K White | Post | Length: 1 1/2 in.